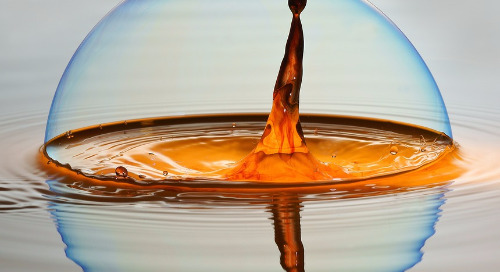 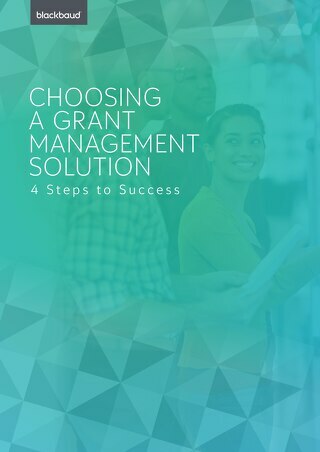 We’ve conceived every possible workflow you'll need to manage your strategic giving process. 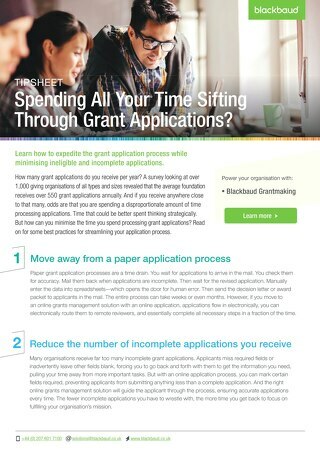 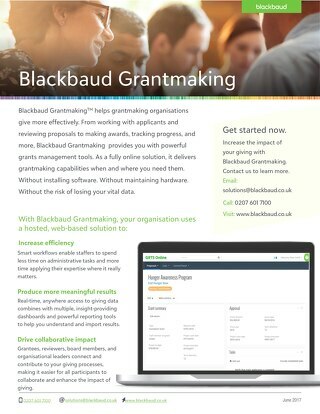 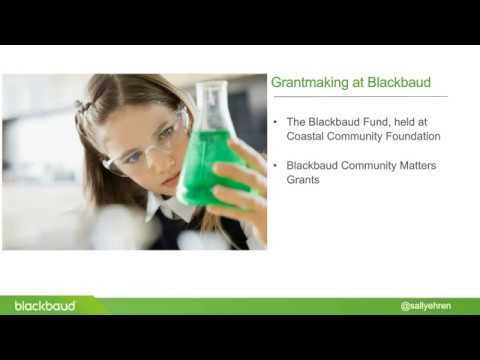 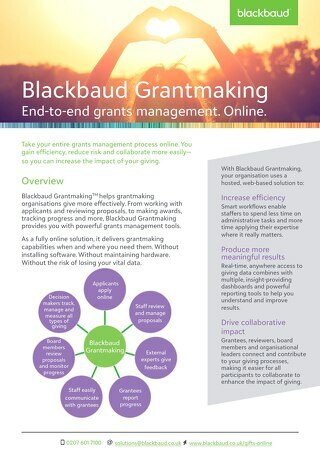 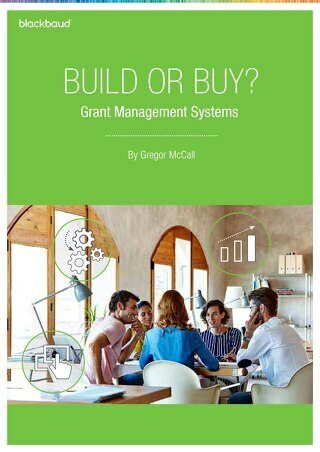 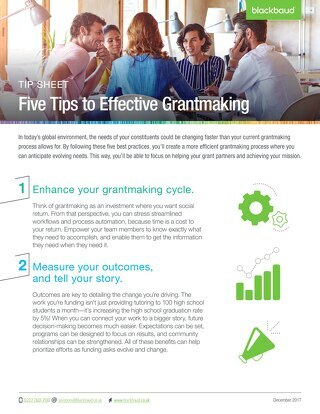 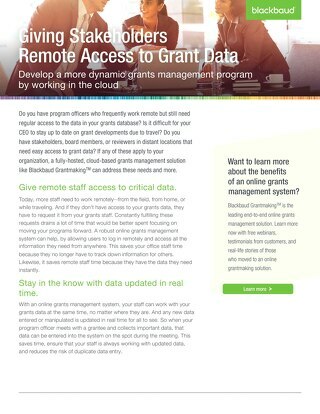 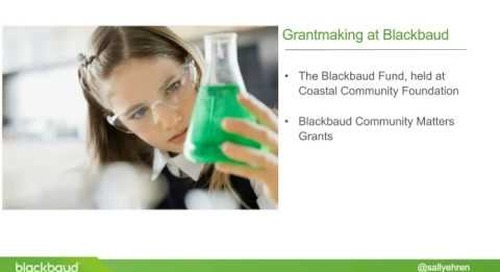 Get an efficient and easy-to-configure system with Blackbaud Grantmaking. 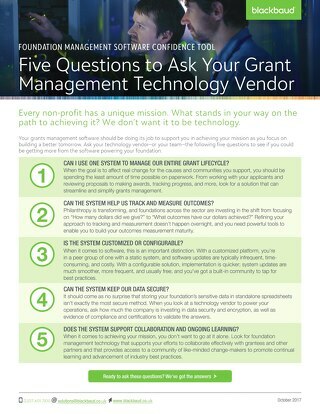 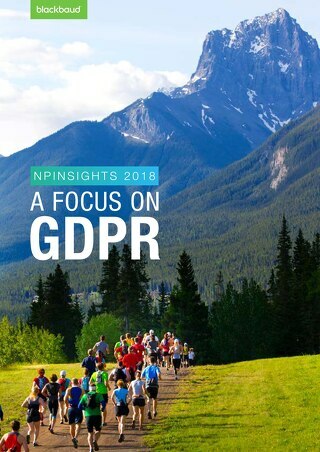 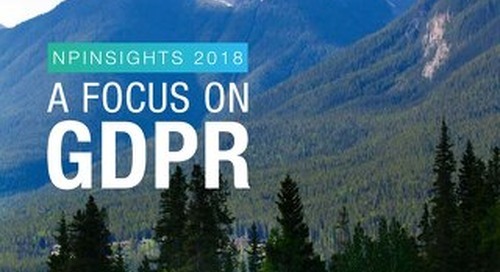 With over 30 years of software development for grantmakers, and endless amounts of data points from our clients, we've built a flexible grantmaking solution - no matter your budget or size! 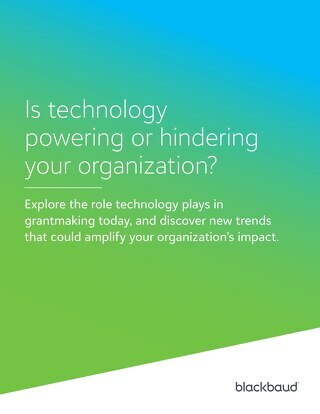 Is Technology Powering or Hindering your Organisation? 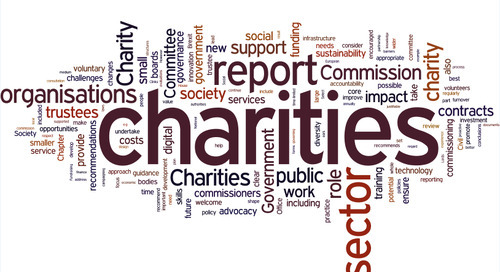 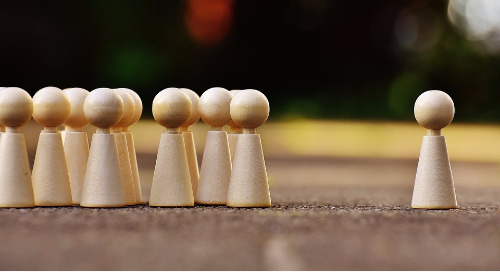 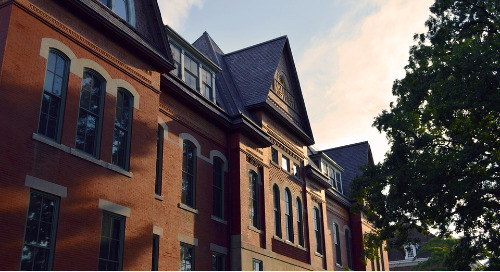 Foundations and Non-profits: What Does it Mean to “Speak the Same Language”?